Scams and petty crime has been with us for hundreds of years. Confidence tricks, mail scams and pickpocketing have been extremely popular. Sadly, even today we aren’t immune to these scams. Every year, millions of Euros are stolen every day by unscrupulous but clever online crooks. 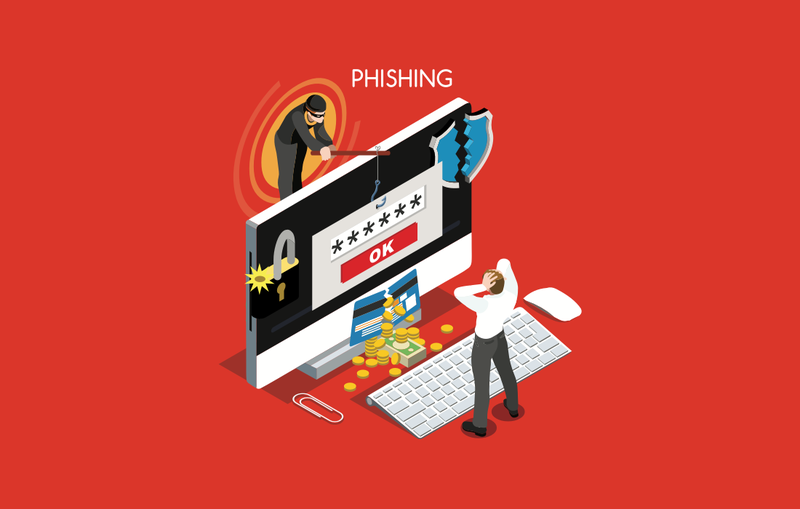 There’s plenty of tricks in the scammers’ arsenal, and with the growth of online services, their trade has had plenty of opportunities to blossom. Today, it is one of the common crimes that affect users all over the world. 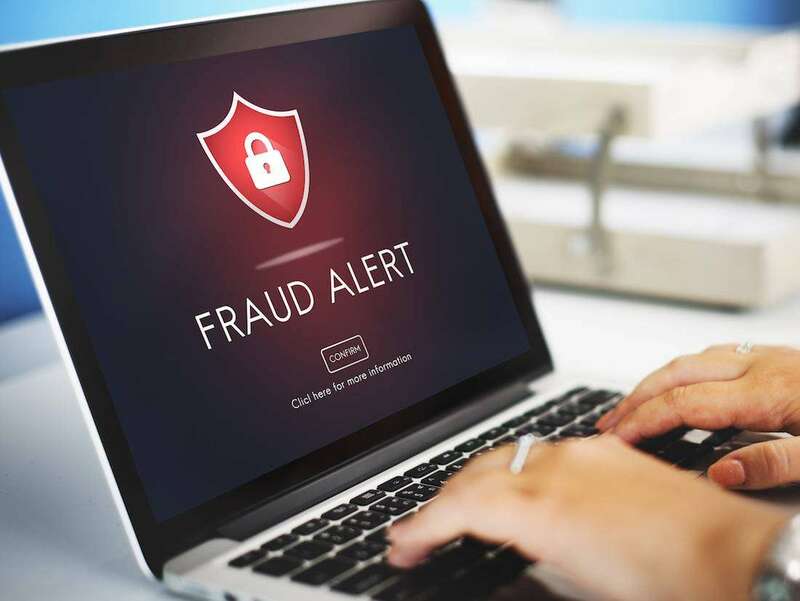 Aside from defrauding you and taking your money, you’re in for plenty of headache when you figure out you’ll need to change your cards and documents. Fortunately, we’ve compiled a list with great tips that will help you stay on your toes, but still let you use the Internet services that make our lives easier. There’s a reason it’s called ‘personal’. This information belongs to you and it should not be shared lightly. Is a business asking for a scan of your ID? Why would they? Don’t give it out unless you’re absolutely sure they are trustworthy, or if you personally asked to provide this information. The ID contains your signature, picture, essential information, as well as your personal identification numbers. A scammer could do plenty with just those pieces of information! That’s why in most European countries, only the police have the right to demand to see your ID. Check what your information will be used for. The purposes of collection should be transparently outlined. Remember: give your info to the wrong person and it could end up all over the Internet! It is inevitable to share at least some information with companies and services unless you want to forgo all the benefits of the modern society – you’d be living ‘off the grid’, as some enthusiasts do. The next best thing you can do is keep track whom you’ve given your personal data to. Keep track of all the services and for each of them, list the data you have given out to them. That way, when you stop using their services, you’ll be reminded to contact them and ask them to delete your data. The less places your personal data is found in, the less the risk of unauthorised access is. And even if something happens with your data, you’ll know who has your data, which will aid in tracking the culprit and minimizing the possible risks and losses to you. Under the new EU privacy law, the General Data Protection Regulation, you have the right to demand deletion of your personal data. Do not open e-mail attachments from suspicious sources, but take care if the e-mail seems odd even if it is from a person you know. Always scan them with an anti-virus tool that you should have installed on your PC. Various keyloggers, viruses and other malicious programs can be attached in e-mails. The best thing would be not to open any unsolicited attachments, no matter who they are from. You might occasionally get e-mails that sound like they were sent by your bank, Facebook, or other online service. These e-mails would ask you to click on a link in order to ‘verify’ some information. The link you would click is not genuine, but the site looks like it is real. Don’t click on these unknown links. The key things to watch out for are e-mail sender fields. If they are from a strange domain: i.e. ‘[email protected]’ instead of ‘[email protected]’, this is a cause for alarm. Most of the time the e-mail won’t have your name mentioned – since the scammer doesn’t know it at all! In any case, online services would never ask you for your password or other personal data! If you find yourself at a website that seems iffy, check the address bar. Is the domain genuine? If it looks odd, leave the page immediately and scan your PC with an anti-virus utility. You could also receive an official-looking e-mail asking you to call their ‘customer service’ number, usually from a bank. Never call that number! Only call the official numbers found on the back of your card or on the bank’s website. Never give out your credit card information over the phone! Wiring your money is the best way of parting with it forever. There are no chargebacks or other security mechanisms. The transfers are fast and reliable, but no scrupulous businesses would use it for business transactions. The most commonly associated issues with wire transfers are those from e-mail scams. They have evolved recently from the old ‘Nigerian Prince’ scams, where a person would claim they need your help in order to access millions of dollars on their account, while giving you a cut for your services. Conveniently, they require an upfront payment for paperwork, usually via Western Union. Unfortunately, many have fallen for the trick and lost way more than they wanted to risk. Don’t be one of those people! Have you come across a product or a service that just seems too good to be true? That very well might be the case. A few minutes of Googling could reveal some unsavoury facts about a service you almost subscribed to. If you’re buying a product, check the reviews. It might not work at all, and then you’re stuck with a useless gadget. Investigate where the company you’re buying from is located. Chances are it is located in a faraway country, such as China. You will have a hard time returning your defective items or complain about the quality of services. You’re literally at the mercy of the retailer, and these scenarios often don’t play out very well for the customer. Sometimes It pays to be patient. If you’re stuck away from home or your office, and have to use public wi-fi in a café or at the town square, use it only for general browsing. Don’t log into your bank account over public networks, no matter how safe it all seems. Public wi-fi networks are not secure. Anyone with a modicum of computer knowledge and a bit of determination can intercept all online traffic from and to the devices connected to the network. Essentially, all your internet activities can be made public. Now, you aren’t defenceless. Most services and websites worth their salt have some kind of a security authentication mechanism – you can recognise it by the padlock in the address bar of your web browser. This, in theory, means that all information you send and receive from that website is encrypted and cannot be read. This works out fine for non-essential information and accounts. But there are times when this fails due to software bugs or misconfiguration. You wouldn’t really want this to happen to your bank account information. It’s best to wait until you get home. It can be daunting to have to remember a password, let alone many. But it is the best thing you can do to ensure the security of your accounts. Online services frequently get hacked and their user lists leaked. These can contain your passwords as well. If you use the same e-mail and password combination on many sites, it is only a matter of time before someone ‘hacks into’ your account as well. It’s therefore extremely important to have different passwords for all your services. Even if one gets compromised, you can be sure your other accounts are safe and sound. Don’t, however, get into the habit of writing these passwords down on post-it notes around your desk. That’s plain dumb. Instead, you can install password manager software that can keep your passwords safe, without having to remember all of them. For better or worse, Windows 10 ensures this is almost always the case. We are, of course, referring to operating system updates. They help patch any security holes that malicious software can use to compromise your PC. Additionally, it’s essential to update your anti-virus software as well. Many users forgo the use of such software due to slow on-the-go laptops and tablets, but peace of mind is worth a very slight performance penalty. 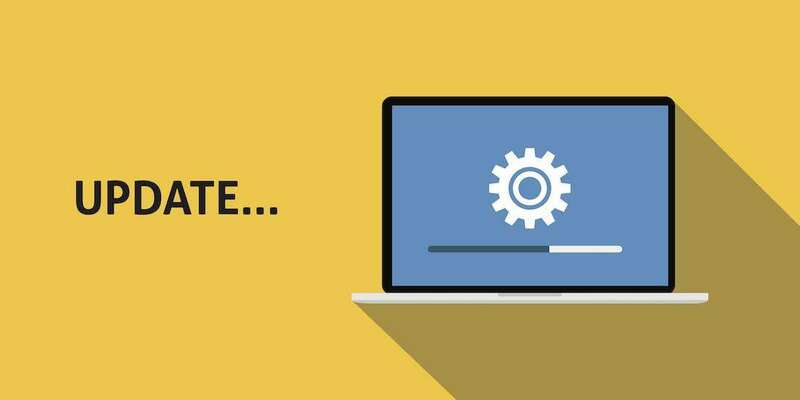 Even the default anti-virus tool that comes with your operating system can be sufficient, as long as you keep it updated. Update before it’s too late. Considering the wealth of personal information we keep on our smartphones, it’s a wonder we don’t take better care of them. Smartphones are frequently lost or left unattended in public places. They are a prime candidate for an identity thief, especially since most of us use loads of services, including banking, on our Androids and iPhones. In doing so, we rarely log out of the apps, opting for convenience of entering them quickly with a single tap. It’s also all too common to find passwords stored in note apps on the phone. There’s simply so much data stored on our phones that their loss should be an urgent matter, not only because of direct financial costs of replacing the phone, but also because of the great risks for identity theft and fraud! Passwords recovered from a stolen phone can be used to fraudulently order items thousands of Euros in value before you even become aware of the problem. Your e-mail accounts and social media profiles could definitely be compromised; fraudsters could impersonate you and defraud someone while posing as you, creating irreparable reputation damage to you. The bottom line is: Keep an eye on your phone at all times, or avoid storing sensitive information on it altogether. Tapping in a password beats having to cancel your cards! We hope these tips will help you stay safe and secure on the Internet. It would be foolish not to acknowledge the very concrete risks of internet services, but with a little bit of care, you can enjoy the convenience they provide without worrying too much about the potential risks.